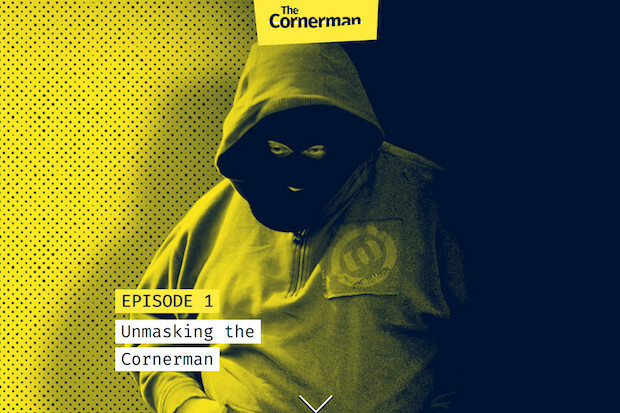 The Bristol Cable has released an exclusive interactive story, The Cornerman, exposing one of Britain's most elusive crime bosses, Andy Baker. Conducted in collaboration with award winning journalist Michael Gillard, the four-part series of long form articles also features original surveillance video and audio embeds. "This is a tale of a crime boss whose name is linked to unsolved murders, who terrified local communities with protection rackets and rubbed up against high society," said Alon Aviram, journalist and co-founder of Bristol Cable. "And standing in the background of it all are royals, sports figures and celebrities." 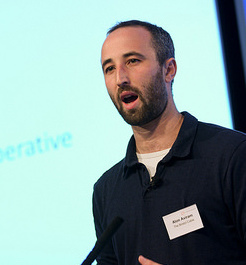 Journalism.co.uk caught up with Aviram to talk about the importance of investigative journalism for local news and engaging audiences with new formats. Why did you choose an interactive format for this topic? As the investigation developed, it became clear that an interactive was going to be the ideal format. After legal wrangling in court, we managed to get our hands on police bugs from the Cornerman's car and video surveillance footage. This original material was gripping and we were convinced it had to be weaved into the long-form features. This series traces the criminal history of the Cornerman over decades and across multiple cities. It is a complex story with dozens of characters and organisations named throughout the series. We needed to make sure that we could simply guide the reader through the narrative. The interactive allowed us to integrate pop-outs with extra nuggets of information, documents, and a cast of characters map tracing relationships to provide depth and clarity. How long did you work on the series? The investigation took the better part of a year and gathered steam over the last six months. Michael Gillard has been tracking the Cornerman for years, untangling his criminal enterprises in London and beyond. Meanwhile, a spate of unusual crimes caught my attention and I began digging into his activities in Bristol and the South West. Together, we collaborated to produce a national story, revealing the Cornerman's history of major crimes and continued influence along the M4 corridor from the Glitzy West End to the West Country. As with everything at the Cable, the media co-operative is member-owned and financed by its 2000+ members. We also receive vital support from Luminate and the Reva and David Logan Foundation. As a democratic media organisation, we got a mandate from our members to dedicate time and resources to investigative journalism. We have taken that instruction and run with it. What tools did you use to produce the series? All in all, a team of seven people worked in different capacities on this project, from reporting to developing, production and branding. And of course, none of it would have been possible without sources passing us sensitive information. How did your audience respond? This is one of those stories where you realised you have tapped into a vein of interest and anger which has been simmering away for a long time. Even before releasing the first instalment, we have been getting many more tip-offs from members of the public who wanted their stories and experiences of the Cornerman told. Page view time has been high, showing that there is an appetite for long-form stories. Check out the second episode and further material about the series here. Find out how to tap into your regional readership at Newsrewired on 6 March at Reuters, London.